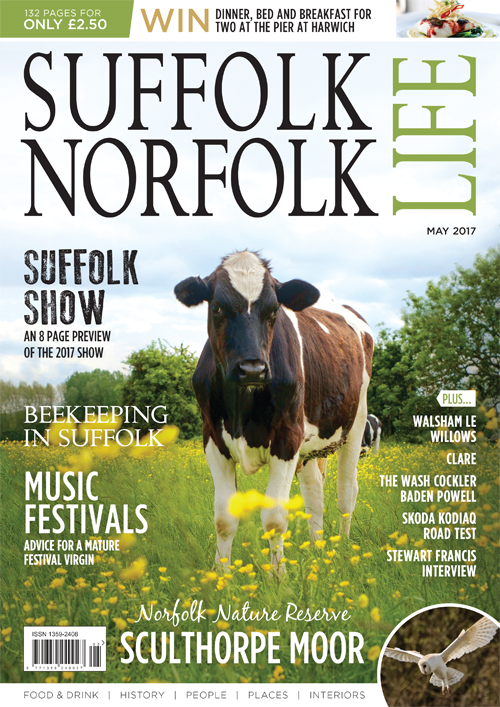 Clare may be Suffolk’s smallest town but it punches far above its weight. At first glance, the town is as pretty and quaint as the best of the Suffolk wool towns; colourful Suffolk pink fascias, pargeted Ancient House Museum dating back to the 14th Century and a typically light, airy and impressive Suffolk church that flaunts the legacy of its high status as an affluent Suffolk wool town. However impressive the buildings are (indeed Clare boasts 135 listed buildings), it is the stories dating back to Rome and the Norman Conquest that are even more fascinating. To the south of the town, next to the Augustinian Priory lies Clare Castle Country Park. After 1066, this became the home of the Norman Fitz Gilbert family. Rewarded by William the Conqueror with large estates in Suffolk and elsewhere, the Fitz Gilberts took their new name from the town. As the newly named de Clares, the family was to have close links to English royalty and become one of the most powerful families in England over the centuries that followed. Indeed during the life of Elizabeth de Clare (1295-1360), granddaughter of King Edward I, household accounts show the castle had become a bustling estate used to entertaining the most powerful in the land. Elizabeth gave her name to Clare Hall (later Clare College Cambridge), which she refounded. However, Elizabeth’s family name ended with the death of her brother Gilbert at the Battle of Bannockburn in 1314. 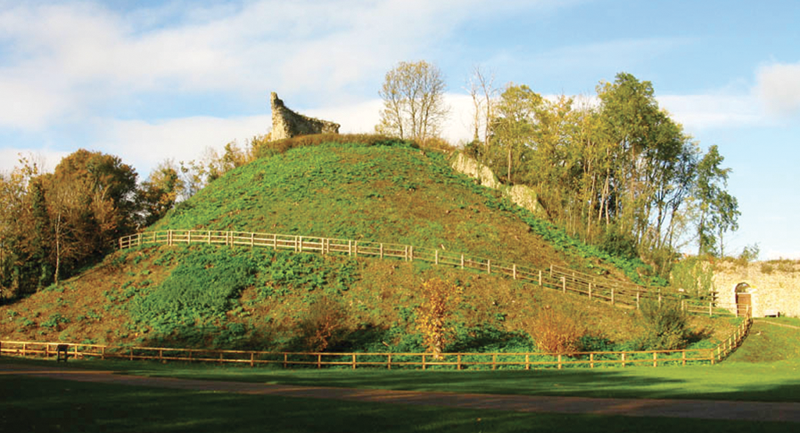 Today Clare Castle Country Park has at its heart the original motte and bailey castle of the de Clare family. A path winds its way up to the top of the original motte where the remains of the original flint and stone keep can be seen along with a view of the rooftops of the town below and a panoramic view across the River Stour into Essex.